Hello friends....have you had the busiest week?!? I know I have....a ton of friends and family for Thanksgiving, then of course the wonderful sales the next day (especially at the craft stores). So I am finally posting this weeks challenge card. This card was so simple!!!!! 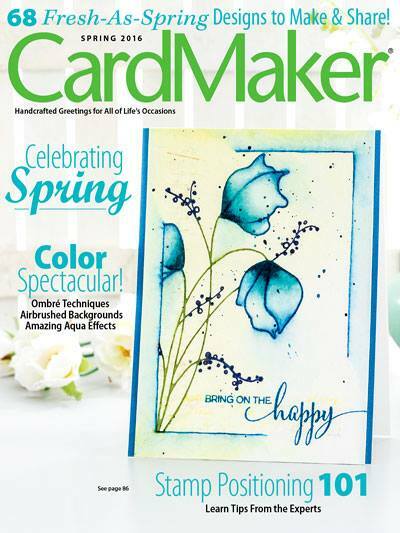 White card stock for the base, stamp sentiment with Tim Holtz Weathered Wood. 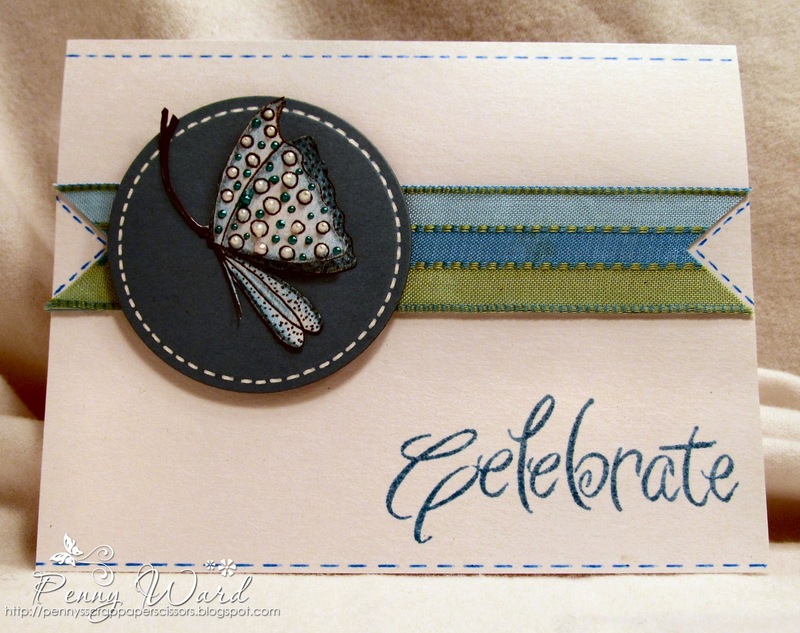 Attach a wide ribbon to card stock (helps support ribbon) and trim to fit card width. 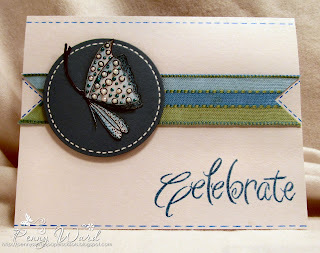 Dark Aqua blue card stock cut with spellbinders, attached to card with foam adhesive. Stamp butterfly two times, colored with Faber Castell colored pencils, fussy cut, use liquid Pearls and attach to die cut circle with glossy accents and foam adhesive. A few faux stitching lines and you are done. Totally jaw dropping!! Love this! !